Just when he thought no-one was looking.....LOVE it! For the reception Prince William requested an alternative treat to the traditional Wedding cake – a McVities chocolate biscuit cake which was one of his favourites as a young boy. 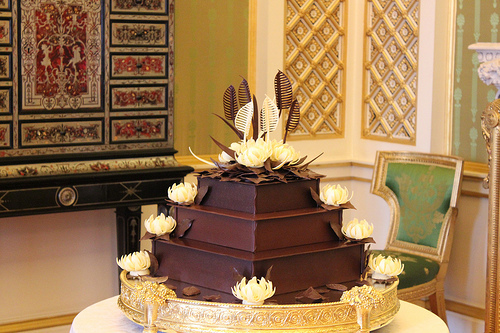 The couple asked McVitie's Cake Company to create a chocolate biscuit cake for the reception at Buckingham Palace (pictured above). 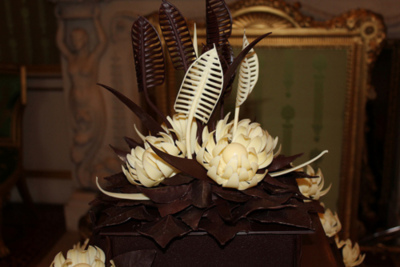 The chocolate biscuit cake is made from a Royal Family recipe. Below is a version of this scruptiously decadant looking cake! ....YYYYUuuuummm! A large heatproof bowl for melting the chocolate mixture plus some kind of baking tray or dish to hold the chocolate biscuit mixture while it sets. I used a 28cm x 18cm x 3cm baking tin, which was just about big enough to hold this amount. Line your dish or tray with greaseproof or parchment paper. 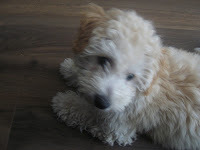 Break each digestive biscuit into 3 or 4 pieces. Break all of the chocolate into very small pieces or chop finely. Place your heatproof bowl over a pot of hot (but not simmering) water and over a very low heat. Add the golden syrup and butter. Once the butter has started melting, stir in the chocolate pieces and, stirring constantly, allow the whole mixture to melt together gently. Remove from the heat as soon as the chocolate has melted. Add the biscuit pieces and stir to combine. 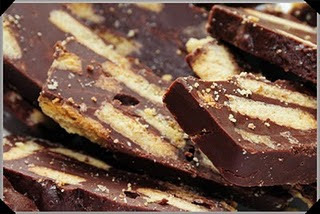 Fill your dish or tray with the chocolate biscuit mixture and, if you like, sprinkle with fleur de sel or other salt flakes.